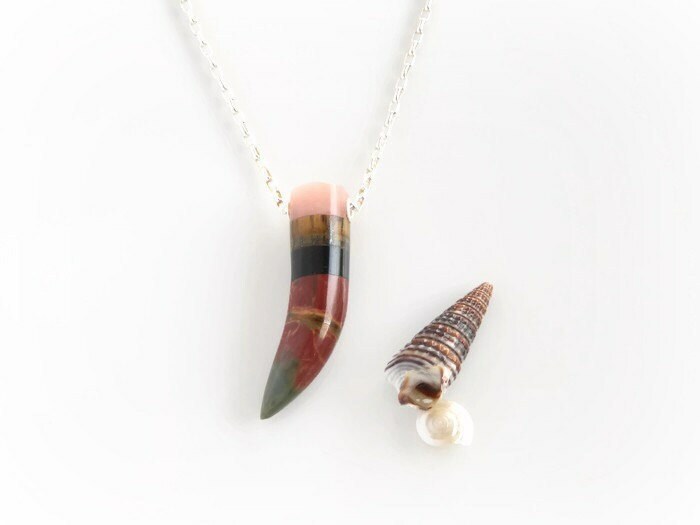 This gemstone claw necklace is an organic combination of pink opal, tigers eye, obsidian and jasper that have been fused into an intarsia tooth. The complementary colors in the natural stone are both unexpected and elegant. Designed so the pendant slides freely on its chain, this tooth necklace is fully adjustable and all of the findings are solid sterling silver. 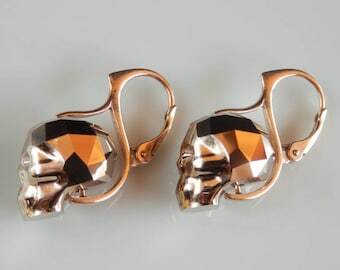 It will oxidize and darken beautifully over time. If you prefer that I speed up this process before I send it to you, please let me know. The necklace includes a 4 inch extender and can be adjusted to measure any length between 16 and 20 inches (41 to 51 cm). The tusk pendant itself is approximately 1.25 inches (31 mm) long. This would make a really great gift for a nature lover, fantasy fan or geology buff. It will arrive boxed and ready to give.